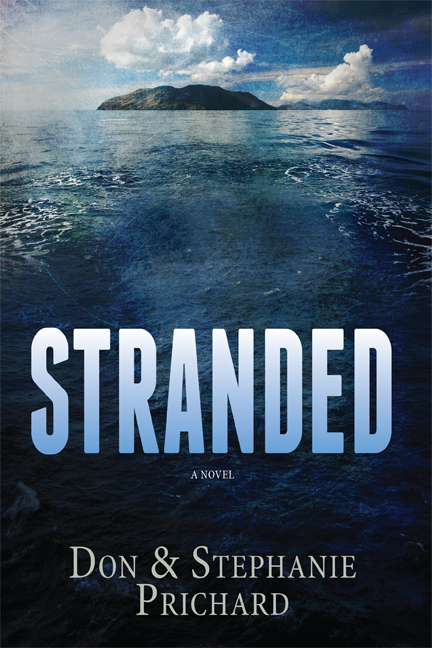 My Writer of the Day is Stephanie Prichard and she has an interesting story to share about how she became a writer and she’s been gracious enough to offer a giveaway of her new book, STRANDED. So be sure to leave a comment if you’d like to win an e-copy of the book. My writing journey is good evidence that God has a sense of humor. 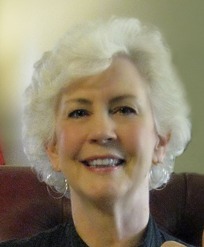 He took me, who loves reading, writing, and grammar and who wanted to be an author when she grew up, and partnered me as co-author to my husband, Don, who prefers movies over books, is dyslexic, and almost flunked out of college because of his lack of grammar skills. When I became a wife and mom, I abandoned all thoughts of writing a novel. When our nest emptied, my husband decided out of the blue that he wanted to write one. Yep, at age fifty-seven, Don asked me how to write a novel. This story, he said, was nagging him and he wanted to publish it. I giggled behind my hand, gave him a few pointers, and dismissed the silly idea. Five months later, he suffered a stroke and lost all ability to read. Guess what turned out to be the best therapy? Uh-huh, his novel. By plugging away at it he learned how to read again. He expanded the story until it became a trilogy, and on top of that rewrote it four times. After several years he asked me to become his co-author. I figured I’d only bother with correcting the spelling and grammar, but I fell in love with the story. We read some how-to books together, reshaped the plot and characters, and I rewrote what Don had written. We went to our first writers’ conference and learned omniscient viewpoint was a no-no (what else would a reader of classics write, I ask you? ), so I came home and rewrote our novel in third person POV. We then hired an editor-turned-agent to critique the book. He shared many pointers, said to learn how to show-not-tell, and at the end of the critique suggested we scrap the book and start from scratch. What? Surely he wasn’t saying that I, an English major (with straight A’s, mind you), didn’t know how to write? Sigh. Indeed he was! Then we joined American Christian Fiction Writers and participated in its online workshops, critique group, and annual conferences. I paid for other online classes and got immediate feedback from instructors. My writing knowledge and skills improved to the point where we acquired an agent … but no nibbles from publishers. Finally we turned a corner. I got a one-on-one critique partner who said to stop rewriting the beginning of the novel every time I learned something new. Finish it, she demanded. I did. After that, the edits were quick and simple. Our agent had given up on us, but in the meantime self-publishing had come into its own and held too many attractions to turn it down. Not wanting to start off with a shoddy book, we hired a professional cover designer (isn’t the cover beautiful?) and a freelance editor who used to be a fiction acquisitions editor for a major CBA publishing house. From the time I wrote The End until the novel’s publication date, only six months had gone by. Uh, I guess I should confess it took ten years of co-authoring and co-laboring before Stranded: A Novel became a reality. 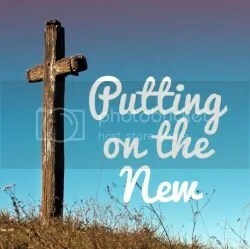 A whole decade—yet I can’t tell you how thankful we are to God that He made us take that long a time. Every twist and turn in the road and every loop backwards over it was actually forward progress. We had so much to learn—writing skills, technology, blogging, social media, the publishing world, critiquing, self-editing, acquaintance with other authors—and between each of those you can insert writing skills, writing skills, writing skills. But ta-daaah! We crossed the finish line! So now I’m eager to start on the next book. This time I hope to take only a year. And Don? Hoo, can you believe he’s on the rough draft of book number six? Don’t forget to leave a comment so you’re entered in the giveaway!